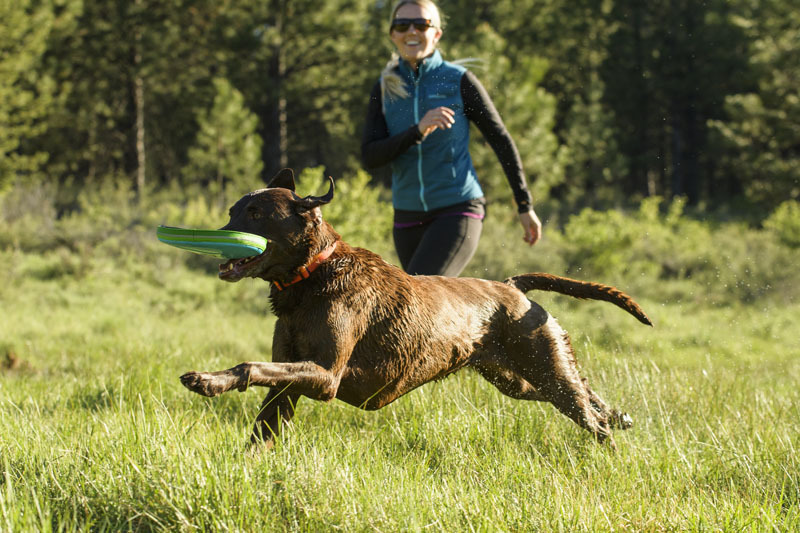 This high-performance flying disc is as fun to throw as it is for your dog to catch. 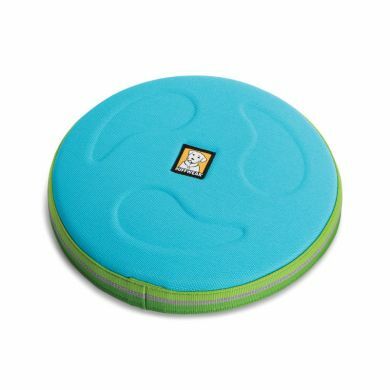 The Hover Craft will delight your four-legged playmate with its flying distance and soft construction for safe, high-speed catches. The durable fabric is designed to last, while the soft construction is gentle on a dog's mouth. 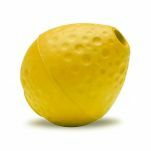 Good for water-fetching fun too...it floats! The construction is soft on teeth and gums yet structured enough to maintain shape over time. Bright colors and reflective trim enhance visibility in the water and low-light conditions. This is definitely the case for our Pluto. 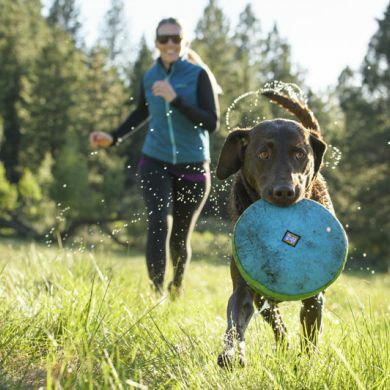 She's mad for frisbees and was born to be an ultimate professional! She loves watching us throw and we love watching her catch. A match made in heaven. The Hover Craft offers excellent performance and is easy and soft to catch. NOTE: All Ruff Wear dog toys are designed to be interactive. Your canine needs to be supervised in an interactive environment. Ruff Wear toys, while constructed of heavy duty materials, are not designed to be chew toys. 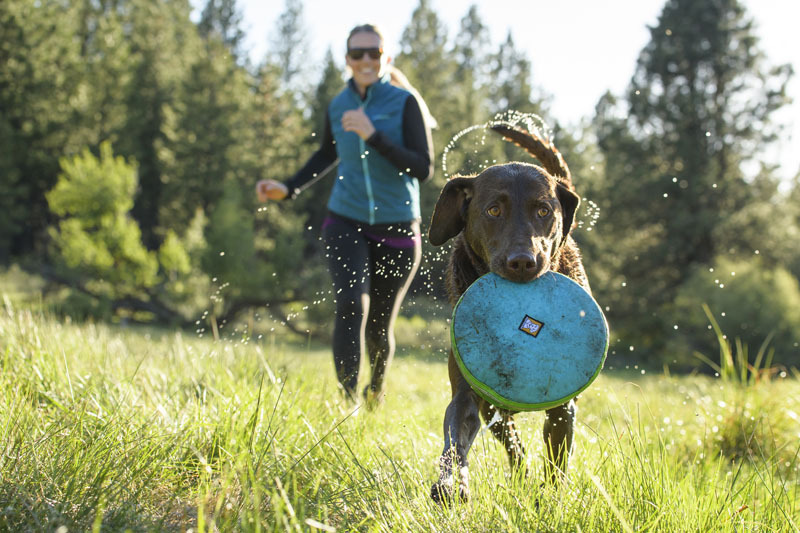 Once the interactive play has finished, place the Ruff Wear toy out of your dog's reach and replace it with a designated chew toy. The dog's Ruff Wear toy will be ready to go for the next interactive adventure. 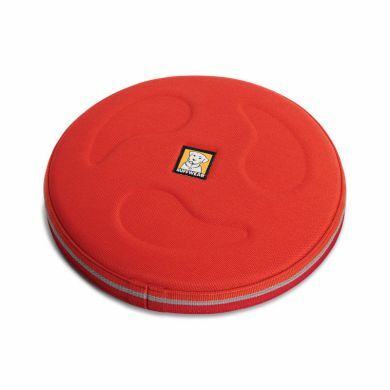 Read 2 customer reviews of Ruffwear Hover Craft. The average customer rating is 5. This is my 2nd Ruffwear Hover Craft---I have still got the first one ,which is 15 yrs old & still in use, but thought a second one would be handy when the other one is a littledamp. 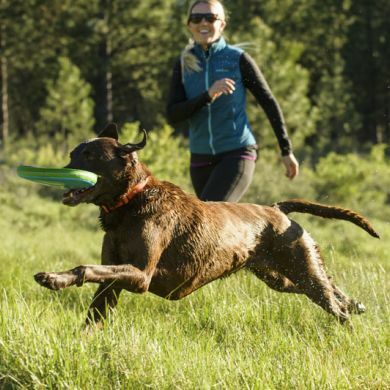 My dog Leo had cruciate problems last year ---pryer to the problems the ball thrower was good ,but this toy is now preferred as it doesn't go so far, so he doesn't get up so much speed, which is better for his legs---I love Ruffwear gear, it is all great value.